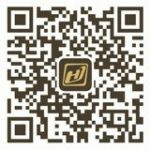 Jiahua always to the highest point of the industry to analyze and solve for pain point, mining customer needs and industry development direction in the future, to bring high added value products for customer market, industry standard, to lead the development of the industry. We believe that: because the price to leave the customers are likely to come back, because the quality of customers leaving most will not go back, because the attitude of customers will never come back. jiahua will be determined to quality and service to achieve the ultimate market to provide high quality and high value-added products. No negative value of brand quality Jiahua door label.